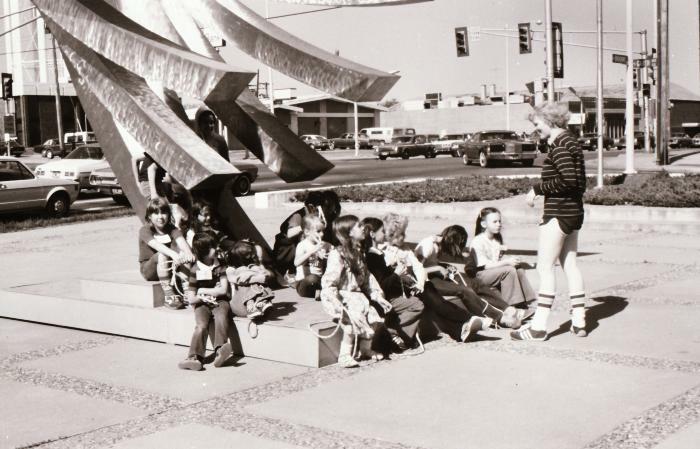 Photograph of a school group near the La Colomba sculpture at the north entrance to the Columbia Public Library. Daniel Boone Regional Library Collection . La Colomba. : DBRL_Slide_16. Archives of the Daniel Boone Regional Library. 20 Apr 2019.